Part of the Studia Fennica Historica series. Finland celebrated its 85th year of independence in 2002. It is one of the thirteen countries of the world that have preserved their democracy uninterrupted since the First World War. Despite its modest origins and difficult wartime experiences, this dynamic country is now a world leader in many spheres. In 2001 it was named the world's most technologically advanced and also the least corrupt country. Other studies have shown it to have one of the three most competitive economies, the best environmental sustainability, and the second most equal society. Such rapid development has increased the need for information about Finland and what can be learned from its unique experience. This book offers an introduction to the country today, focusing on the most recent research into its politics, policies, and society, viewed in a comparative context. 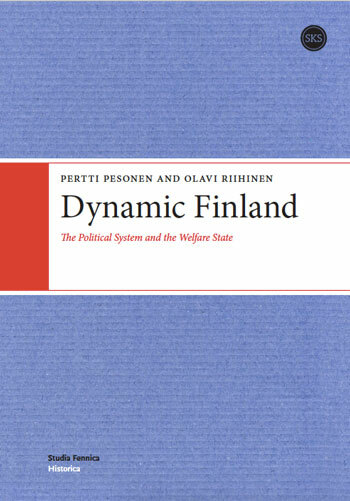 Dynamic Finland has been written for a general audience by two eminent scholars. Pertti Pesonen has been professor of political science in Tampere and Helsinki and at several American universities, and is also the former editor-in-chief of the Aamulehti daily and past chairman of the Finnish Academy of Science and Letters. Olavi Riihinen served for 24 years as professor of social policy and Chairman of the Department of Social Policy at the University of Helsinki.